The increasing importance of the moving image and of virtual environments in the creation of new architecture, as well as the multiplication of art-house and film-essays on architecture, offered to Small Cinema Conference the starting point for further explorations into the place of cinema in contemporary architectural practice and education. 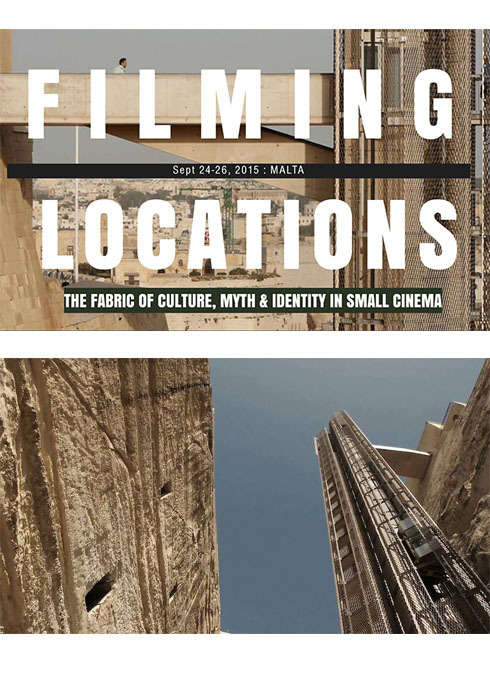 AP has been involved in the organization of three events for the 2015 Small Cinema Conference edition, held in Malta from the 24th till the 26th of September. Focused on the broad phenomenon of on-location shooting analyzed through the lens of 'smallness', the conference had an interdisciplinary approach, investigating the idea of time, representation and architectural style in films, but also the concepts of heterotopia and heterochronic spaces. In this framework, Bettina Hutschek presented her movie of the Barraka Lift project that was commissioned by AP. Other short movies commissioned by architecture firms like MVRDV and MK27 has been screened, followed by a debate on film as a medium to represent an architect’s practice portfolio. Giampiero Sanguigni gave a keynote speech on 'Architecture in the Italian movies of the 60s/70s' illustrated by three case studies, Füsun Türetken talked about the relation between warfare technology and cinema through the development of video games and virtual environments, and its effect on the perception and representation of spaces, and Silvio Carta about the use of moving images in architectural representation. For further informations, visit Blitz, non-profit organization and contemporary independent art space that hosted the Conference.